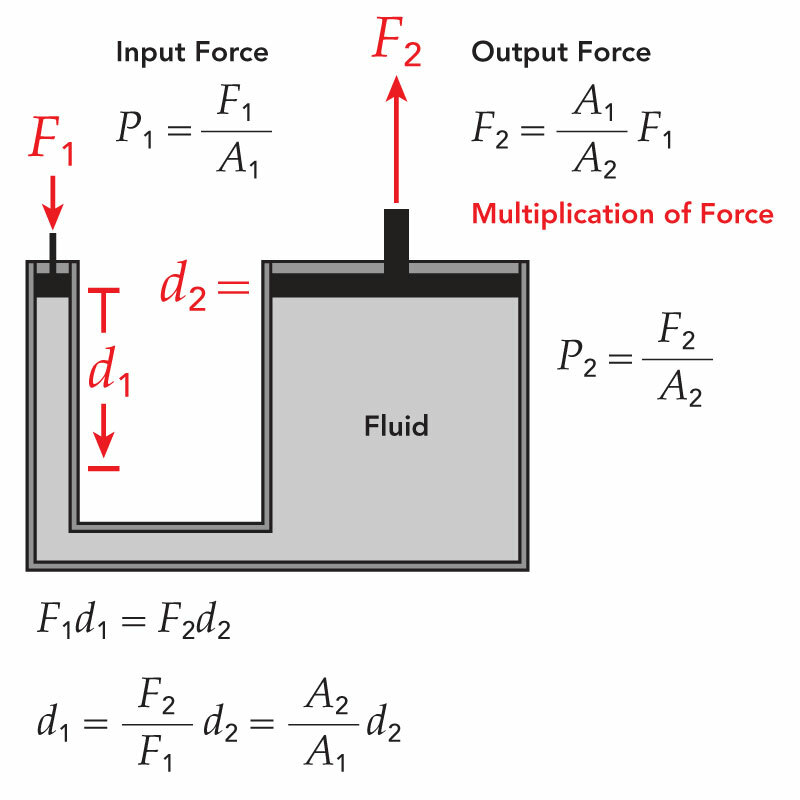 Discovered by Frenchman Blaise Pascal, Pascal's law states that pressure applied anywhere in a confined incompressible fluid is transmitted equally in all directions throughout the fluid. Pascal's principle applies to all liquids and gases. One typical application can be found in most automotive repair shops that have a lift. 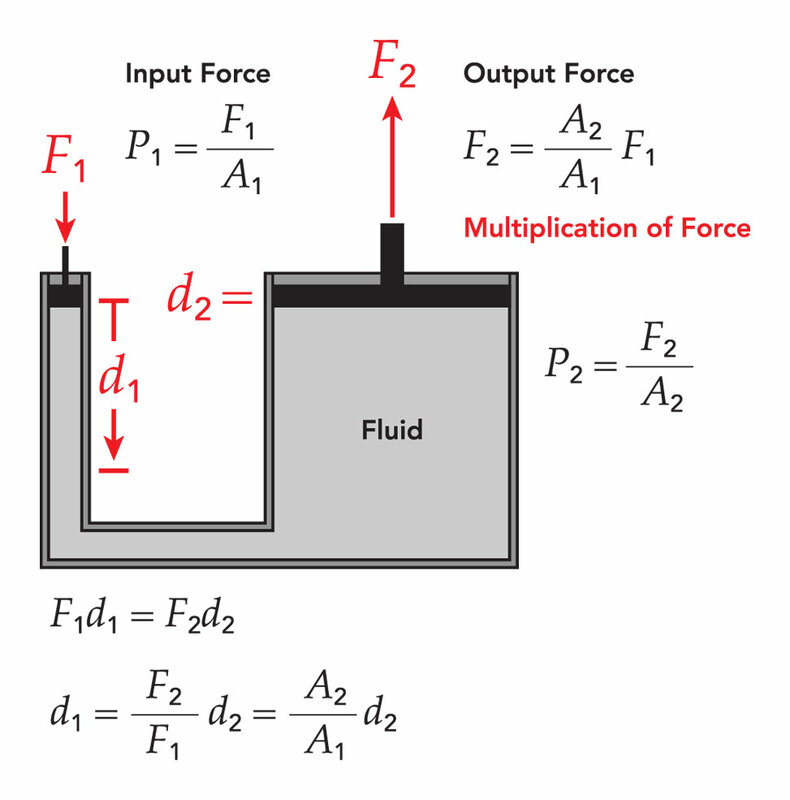 Basically, air from an air compressor is applied to the top of the oil in a container and the oil then applies pressure to a sleeve/piston that lifts the car. This is the same principle found when using a hydraulic jack at home. However, the smaller cylinder must travel much farther than the larger lift cylinder.